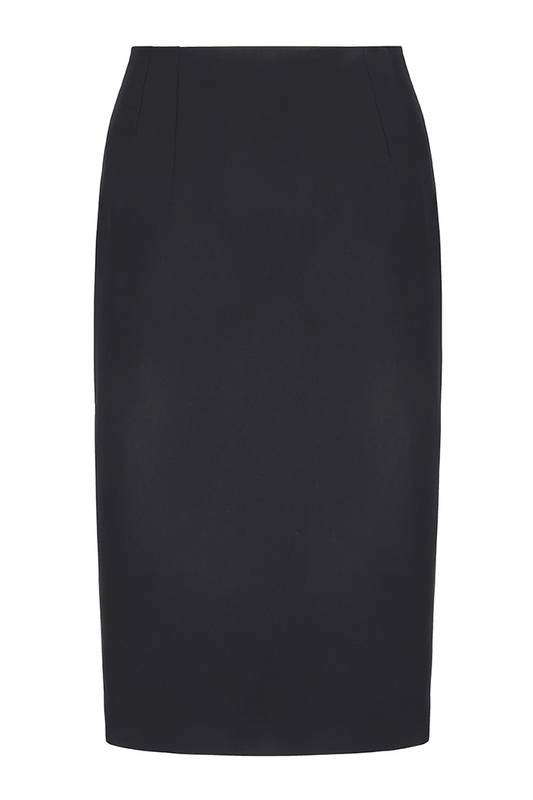 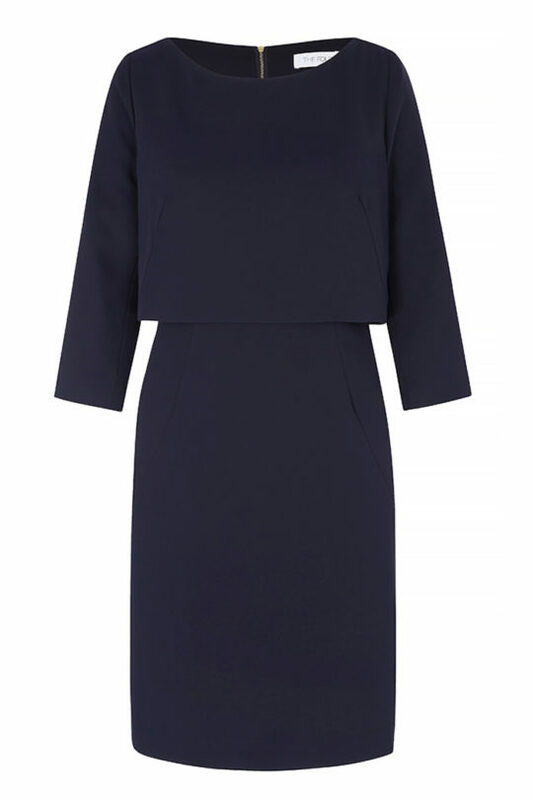 A sleek black pencil skirt for your professional wardrobe, in a sophisticated knee length. 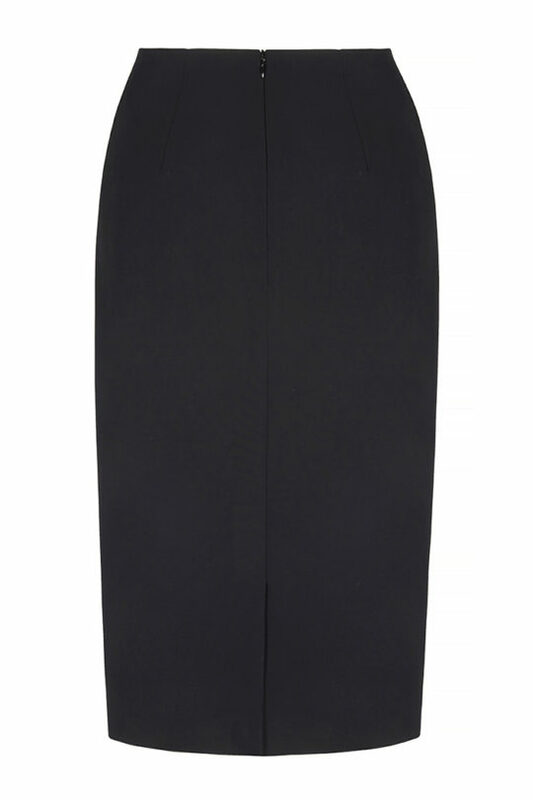 This elegant knee length black pencil skirt is cut from Italian stretch-twill for a clean, contemporary silhouette. 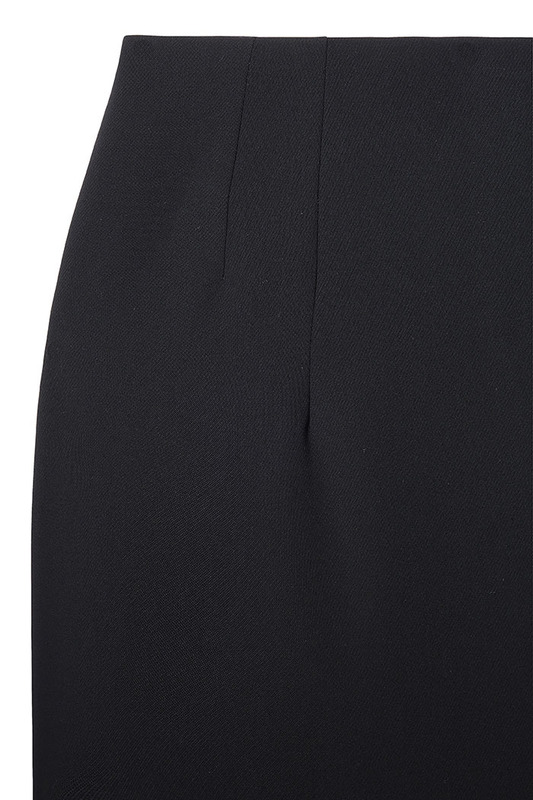 Modern asymmetric front darts enhance the fit, while a centre back vent allows easy movement. 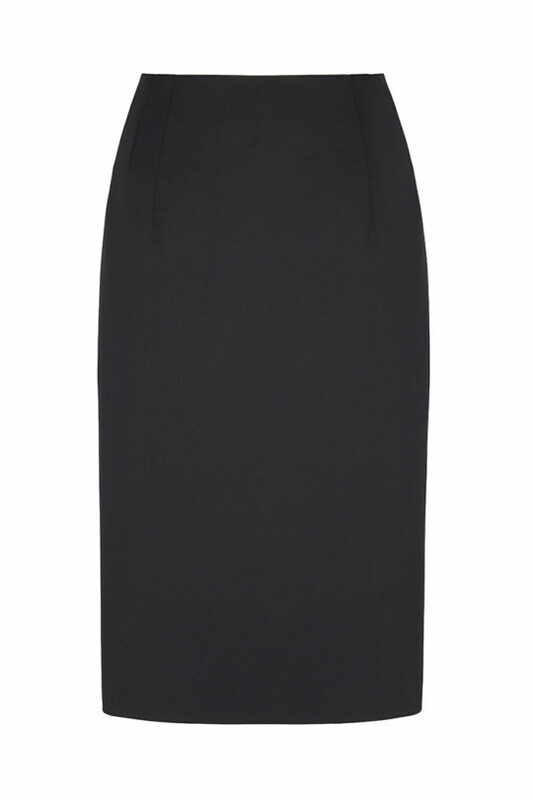 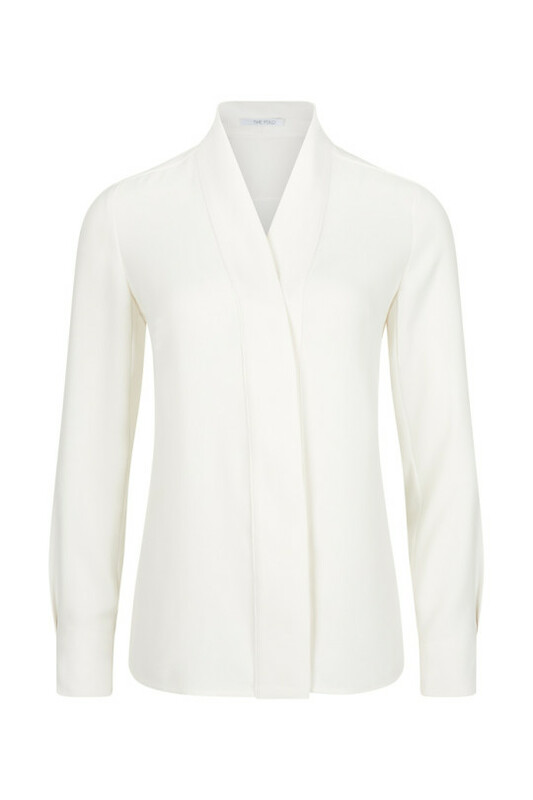 Highlight your waist with a tucked-in blouse, or a slinky camisole in the evening.